Back in early August, I began posting warnings that sea ice extent and area might reach new record lows by the end of summer. I noted that a large area of sea ice had grown very thin and was vulnerable to rapid melt. But I didn’t imagine anything like what we’ve seen over the past month. 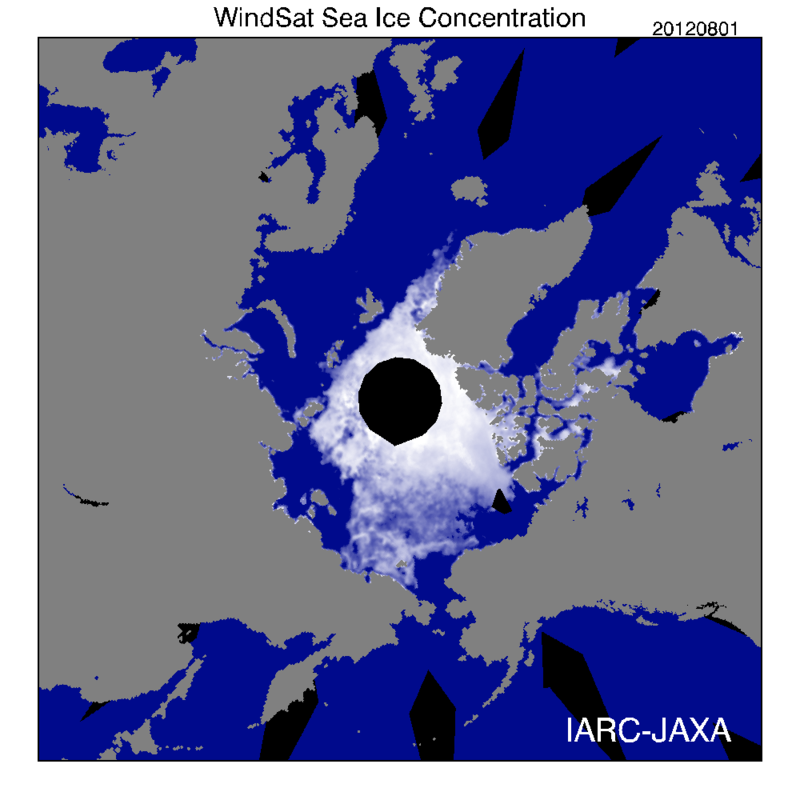 Hundreds of thousands of square kilometers have melted away and we are now, according to JAXA, at 3,740,000 square kilometers of sea ice extent, about half a million square kilometers below the record set in 2007. That year saw a massive 27% loss in sea ice coverage. This year’s 12% fall from that immense low is another devastating contraction. Back in 2007, a number of climate change deniers, many of them paid by political organizations like Heartland claimed that sea ice would begin to recover. Yet the period of 2007 to 2011 showed the lowest five years of sea ice extent and area in the satellite record. 2011 was particular in that sea ice area reached a new record low, but the extent record for 2007 held. What was even more concerning during this time was that measurements for sea ice volume, though less detailed than sea ice extent and area, showed declines year after year since 2009. These declines were so impressive that it lead some, like Joe Romm, to begin to call the decline in sea ice a ‘death spiral.’ Others, like Neven over at the Arctic Ice Blog, put together curve fitting functions for sea ice volume that showed a potential for ice free summers within the next ten years. 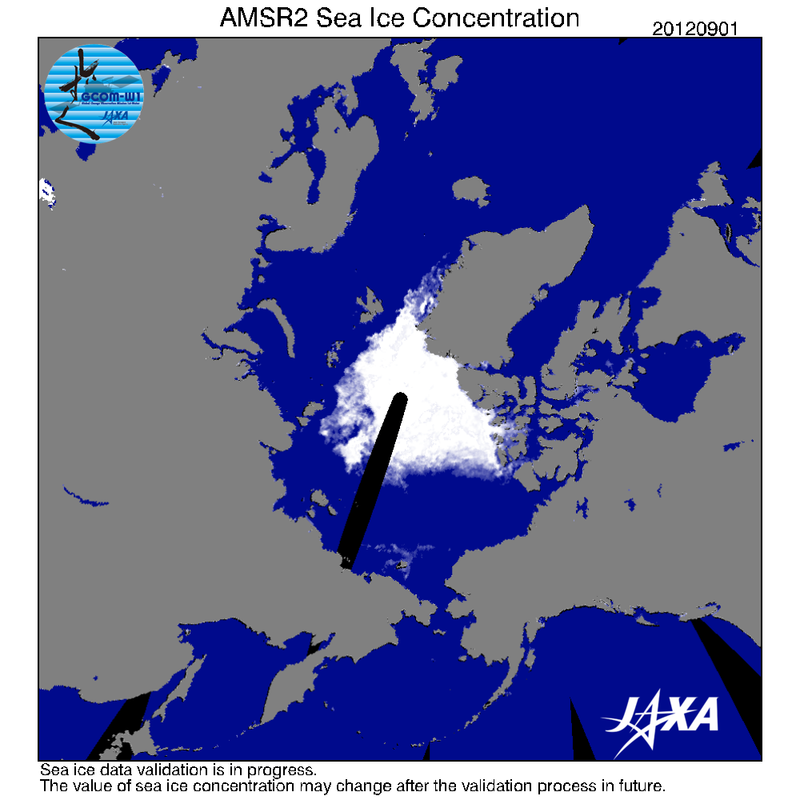 The combination of thinning ice, a devastating trend in volume, and an extended period of record low sea ice area and extent did make it look like the Arctic was experiencing the ‘death spiral’ Romm warned of. All these features and trends were enough to cast serious doubt on the assertions of climate change deniers, even to the untrained observer. Enter 2012 and we come to new record lows for sea ice area and extent. These new records are not marginal in the least. In fact, they are substantial. Adding 2007 and 2012 together, we have lost 39% of Arctic sea ice in just five years. This is a huge and precipitous fall. And for the season of 2012 it is not finished. Such a vast decline has left climate change deniers scrambling for their tin foil hats. Oil-funded Anthony Watts, well known for his assault on the nation’s premier climate science body — NOAA — is once again bringing up questions as to whether or not NOAA data is accurate. A few years back, Anthony used his oil company money to declare that NOAA was a fraud and was forced to step back from his false allegations. Others will likely follow suit, blaming or attacking scientists, or pointing toward Antarctica in order to distract from the epic melt going on much closer to home. Antarctica, by the way, is experiencing a ‘normal’ sea ice season. This, despite the fact that ocean temperatures have warmed there over past decades. Scientific reasons for Antarctica’s slower melt abound. The most prevalent is that rising water temperatures have not accumulated enough energy to push sea ice back from the band they’ve occupied since 1979. But under a regime of rising global temperatures, this state will not continue indefinitely. What climate change deniers have failed to recognize, in their myopic obsession with ‘normal’ southern hemisphere sea ice is the fact that the massive Antarctic ice sheet has been losing mass since 2006. In short, like Greenland, Antarctica is melting.